As the variety and number of assistance dogs grows, how can they be better integrated into the workplace? New research initiative will support both employees with assistance dogs and employers. July 24, 2013 | Santa Fe, NM— Did you know that assistance dogs include guide dogs, service dogs, hearing dogs, seizure and diabetes alert dogs, PTSD dogs and more? Increasingly, assistance dogs of all types are transforming the lives of their human partners in a multitude of ways. People with physical disabilities and military veterans with post-traumatic stress disorder are just some of those partnered with assistance dogs. But what happens when these men and women, accompanied by their canine partners, seek employment? Employers often lack information on how to handle what is to them, unfamiliar ground. The Job Accommodation Network, a service of the Department of Disability Employment Policy of the U.S. Department of Labor, is already fielding more and more inquiries about workplace accommodations concerning assistance animals. In honor of International Assistance Dog Week, August 4 – 10, 2013, West Virginia University associate professor and researcher, Margaret Glenn, and assistance dog expert, Marcie Davis, founder of IADW, author of “Working Like Dogs: The Assistance Dog Guidebook,” and host of the Working Like Dogs radio show, are announcing a groundbreaking initiative with the goal of expanding career horizons for people with disabilities who partner with assistance animals. A year-long awareness and information gathering effort will include interviews with both employers and experienced assistance dog teams (employees paired with assistance dogs) to move this never-before-researched area into the mainstream of employment policies and practice. Findings will be disseminated widely to increase employment success among those with disabilities and provide answers to employers inexperienced in accommodating assistance dog teams. The Department of Labor has supported International Assistance Dog Week in the past, by publishing a special IADW poster and having Day Al-Mohamed, Senior Policy Advisor, speak in an interview on the Working Like Dogs radio show about all the work they are doing to support the employment of individuals with disabilities. Glenn is partnering with Davis in order to utilize the Working Like Dogs and International Assistance Dog Week communities and networks for widespread communication of research findings to training organizations, dog trainers, individuals with assistance dogs, and other stakeholders. Summaries of what is learned during this year-long initiative will be published and announced during International Assistance Dog Week in 2014. Guide Dogs –Assist people with vision loss, leading them around physical obstacles and with tasks such as crossing streets, and navigating doorways, elevators and stairways. Service Dogs – Assist people with disabilities with walking, dressing, retrieving and carrying items, opening doors and much more. Hearing Alert Dogs – Alert people with a hearing loss to the presence of specific sounds such as doorbells, telephones, crying babies, and fire alarms. 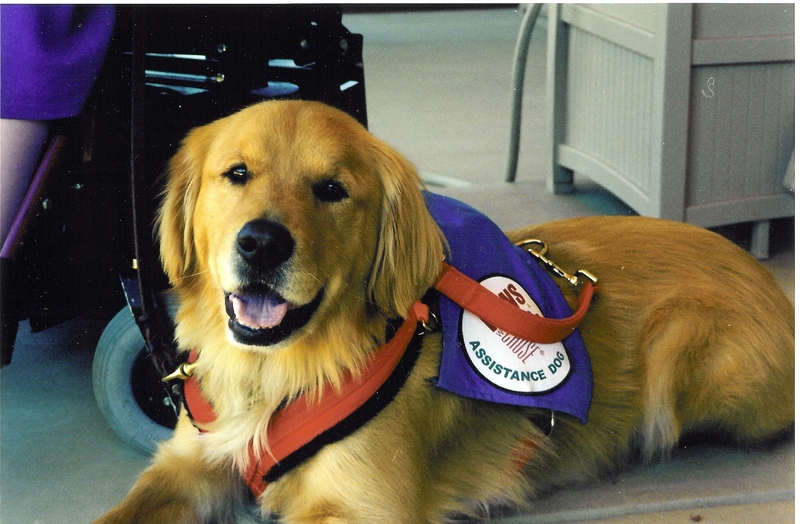 Seizure and Medical Alert/Seizure Response Dogs – Alert to medical conditions, such as diabetes, autism, heart attack, stroke, epilepsy, and post-traumatic stress. All of these types of assistance dogs are dedicated to their humans, who rely on them daily. Please celebrate the selfless love and devotion these dogs provide by participating in International Assistance Dog Week. Visit www.assistancedogweek.org for more information. Will Your Next Employee or Co-Worker Be a Dog? 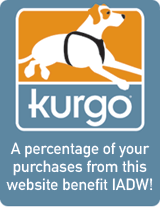 Finally, the Working Dog has His Day… and a New Website!